In this Legal Reasoning or Legal Aptitude, we will discuss the legal reasoning you require for acing the legal aptitude section of all the CLAT and other LAW entrance exams in India. This article deals specifically with the legal reasoning and the strategy to master it. Let's start- there are various law entrance exams which you can appear in to start your career in law in the reputed colleges but the most sought after law exam is CLAT (Common Law Admission Test) which is conducted for 21+ National Law Schools. Other than CLAT, there are other important exams conducted like AILET i.e. All India Law Entrance Test conducted by National Law University, Delhi. Apart from these other exams could be LSAT- (it is conducted by Jindal Global Law School) and SET (which is conducted by Symbiosis Law School). These are the exams apart from CLAT and traditional 3 year Exams after graduation for example D.U.L.L.B which you can appear for to start your career in law. There are various essentials in the various sections of CLAT which you need to keep track of to build a strong base for scoring well in all these exams. Firstly, previous years question papers of CLAT and AILET exams could help you to acquaint yourself with the pattern and the nature of questions being asked. The other thing you can do is to take a mock test which will help you to have extensive practice and self-testing for time management and better accuracy of your answers. Lastly, you must start reading newspapers and magazines so that you have regular update on the legal arena, for example, related to the current affairs in the legal field. So you must start reading newspapers and magazine regularly to keep yourself updated for the CLAT exam. Legal Aptitude Marks In CLAT Exam: you get 50/200 Questions for legal aptitude section, each question worth 1 mark. The Section comprises of Questions based on Legal Reasoning, Legal Maxims, Legal G.K Static, Legal G.K current and Important Case Laws relevant for CLAT. Overall, It is a very high scoring section and you can easily fetch marks in this section. Important Information: Legal Aptitude section of CLAT is quite important for an additional reason as it's a tiebreaker section. By tiebreaker section of CLAT we mean that you get a better ranking with the help of the scores you make in the legal aptitude section because if there are various students on a similar score having total score same as yours but you got more marks in legal aptitude section as compared to other students then you will have better ranking in total because this section is used to break the tie between the students who have similar total score. So, this section is reasonably given more importance since it's a law entrance exam, so legal aptitude section is the most important section which is used as a tiebreaker section. Negative Marking: Last thing which you need to keep note of is that CLAT gives you a negative marking of 0.25 marks for every wrong question. So you must ensure that you are confident on the question which you are attempting so that you don't get most of the questions wrong and negative marking as a result of the wrong questions. 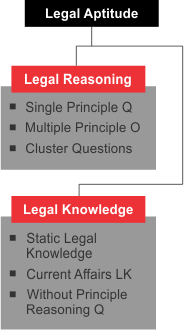 Now the type of questions asked in the law interest exams broadly are of two categories: legal reasoning and legal knowledge (as you can see below in the figure). Single Principal Questions which means you will get a single principal and one or more questions based on that principle to be solved. 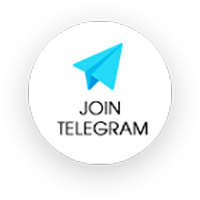 For example, you get a principle on cheating like we will discuss further in this article and you get one or more questions based on the similar principle. Multiple principle questions there could be two principles given and based on those two principles you might have to solve one question or multiple questions on the base of those principles. Cluster questions there could be one principle given and four to five questions related to that principle or it could be multiple principles and multiple questions given for solving legal reasoning section of CLAT. Static Legal Knowledge which means that there is no legal reasoning involved and you have to have a pre-hand knowledge of certain principle and concepts or basic terminology related to law to solve this section. This also covers knowledge of Legal Maxims, Legal words which are important for a Lawyer to use in the Courtroom or in Practice. Legal Knowledge Current Affairs which means like you have knowledge of recent popular judgments and name of say law minister & Chief Justice of India. These are the things which you can get in the current affairs section related to legal knowledge. Without Principle Reasoning Question It's a bit tricky section.Here, you can be given all questions without principles and you will have to solve these questions based on the knowledge you have and if you have knowledge that the particular principle could be used in the question then you will be able to solve the question because it requires pre-hand legal knowledge and you will not be given any legal principle or hint of the law related to the question.Simply putting,you would not be given any hint that which principle would be applied on this question. So this section or the questions based on this section will be a little tricky but you get these questions in the exam rarely. These above topics are written in the order of their importance, for example, we can say that Torts, Contracts and Criminal Law are the most important topics under legal reasoning. Most of the questions are based on these laws and concepts only. However, laws like Constitutional law, Intellectual Property Law, International Law and Family Law are less important or we can say least important topics in the legal reasoning section. Legal Knowledge Includes: Legal Knowledge is based on the Static Knowledge one must have beforehand or learn during preparation for the exam.There are three sectors which we can discuss and you need to have knowledge regarding them. Basic concepts and Legal Terminology: You can get questions on the terminologies that are usedin law. For example, you can get a question on who is a plaintiff, who is a defendant and other legal principles or Latin terms which are used in law. So, you will have to have knowledge on those concepts and legal terminologies and then you will be able to crack these questions. Current affairs: This we have already discussed. You can get questions on the recent judgments and questions on the legal field like who are the law minister or Chief Justice of India and all that stuff related to the legal affairs. 1. Read the Principle Very Carefully: This is most important aspect of legal aptitude section that is basic careful reading of Legal Principles. These principles will equip you to have the adequate knowledge to solve most of the questions in legal section of CLAT exam without having any other legal knowledge without i.e. even without reading or studying other topics. Some of the basic principles you need to have in mind every time you solve any legal aptitude section of CLAT exam. The first principle is that every student must have the habit to read the principle very carefully. I mean that every word used in the principal is important and relevant for the problem to be solved an hence each word should be focused. Let's take the example in these two principles. 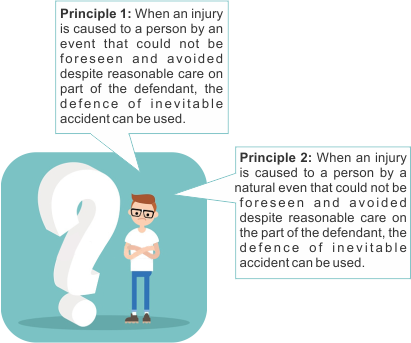 Principle 1:“When an injury is caused to a person by an event that could not be foreseen and avoided despite reasonable care on the part of the defendant and the defence ofinevitable accident can be used”. By having a plain reading of these principles, you might think, if you do not read the principle carefully that these principles are same but there is a difference between these principles.The difference is in the use of the word ‘natural event’. This use of word‘natural event’ has changed the meaning of the principle drastically from the other because there is involvement of natural sources. However, these natural sources are absent from the first principle. So, somebody who is in the habit of reading principles rapidly and very fast that person might miss out this word and might land up to a wrong answer. So you must read the principle very carefully and you have to take note of all the words used because every word in law has its different meaning. A simple use of word‘shall’ in place of ‘will’ actually changes the meaning of the principle. Hence, you will end up in the wrong answer if you miss out that meaning. So, the first and foremost principle every student must keep in his or her mind is that the reading of principle be done very carefully and word to word. Principle: Whoever by deceiving any person dishonestly induces the person so deceived to deliver any property to any person commits tort of cheating. So, there are three ingredients in the above principle- Deception, Inducement and Delivery of property. For Example: If I make you believe that I am knowledgeable enough to teach you but I'm not. If you believe that, it would be deception. In this case, to deliver property is the third ingredient. If a person, by deception, causes another person and induces that person to deliver certain property by making that person believe which something which is not true that would amount to the offence of cheating. So for your convenience you must have developed the habit of disintegrating and segregating the principle so that nothing is missed out from the principle.See the applicability and the presence of all the ingredients of the principle are fulfilled so that there must be deception, inducement and delivery of property. These three ingredients together would form the tort of cheating. If any of the ingredients is absent that would not amount to the tort of cheating. 3. Do not go Beyond the Principle whatever is given to you as principle in the question, you must keep your knowledge limited and scope limited to that principle only. Any application of pre-hand knowledge of the law, all moral principles will land you in the wrong answer. Principal:Anyone who publishes a statement that is likely to injure the reputation of another person is guilty of defamation. Facts: Ravish, a journalist, publishes an article accusing Amit Shah of encouraging the police to undertake the encounters.Later on, it was discovered that Amit Shah had rewarded certain policemen for encounters. Is Ravish Liable for Defamation? Going through the principal, the actual law of defamation says that “An absolute truth is a defence”- if you publish something which is true even though it's injuring the reputation of another that would not amount to defamation. But this principle does not give that part of the law; the principle does not describe that if it is an absolute truth then it would not amount to defamation. So, in this case, Ravish would be held liable for the defamation. If somebody has a pre-hand knowledge that absolute truth is a defence to the tort of defamation, in that case, that person would read out the facts and give the answer that Ravish is not a liable because it was a truth. Later on it might be discovered but according to this principle, since this principle is only limited to the scope of the injury part of the law without giving the exception i.e. absolute truth, in that case the answer would be that Ravish is a liable for defamation. So, you must not apply your pre-hand knowledge or moral principles to the principle given in the question. In this way, you will land up in the right answer and not the wrong answer depending upon and limiting to the scope of the principle given. 4. Emotional Trap while solving CLAT legal questions, there could be facts given which might strike your emotional thinking. So in that case, you will not apply your emotions and you will not fall for the Emotional Trap. Principle: The right of self-defence extends to causing death if one's life is in danger. Facts:Samba, a notorious dacoit, is being followed by Vijay, a police inspector, who has killed many criminals in past.On being surrounded with cops and seeing that Vijay is aiming at him with the revolver and about to pull the trigger,Samba shoots Vijay in the chest. Vijay succumbs to the bullet injury. Is right of self-defence available to Samba? So, in this case, if you take your emotional thinking into it, you might say that Samba is a dacoit, so he does not have the right of self-defence because he is a criminal. Hence, he should not be hitting a policeman with bullets or he should not fire on the policeman. But according to the law, every person, even though he is a criminal, has a right to self-defence which comes under the head right to life. So, you must not fall for the emotional traps in the CLAT exam. In this case,even though you might have emotionally thought that Samba would be liable for the offense of murder but he will not be liable for murder because he can take the defence of self-defence in this case.This is due to the reason that his life was in danger because he knew Vijay is popular for killing criminals and he was aiming at him. So, it was pretty clear to him that he will kill him actually. So, in this case, Samba has the right to self-defence against the killing of Vijay. Look for the Best Answer while solving the legal aptitude section of CLAT. You must look out for the best answer and not the ideal answer in the CLAT examination. Let's take the similar facts in the case of self-defence. Facts: Samba, a notorious dacoit, is being followed by Vijay, a police inspector, who has killed many criminals in past. On being surrounded with cops and seeing that Vijay is aiming at him with the revolver and about to pull the trigger, Samba shoots Vijay in the chest. Vijay succumbs to the bullet injury. Samba cannot claim the right of self-defence since he was trying to escape the police. Samba could have shot Vijay elsewhere. Hence he is guilty. Samba can claim the right of self-defence. Let's see what could be the answer to this question. So, you have to find the best answer which fits in the principle and taking into consideration the facts. First option is the right to self-defence cannot be available to a criminal, somebody who falls for emotional trap would say that self-defence is not available to a criminal but that is wrong option. Second option is Samba cannot claim right to self-defence since he was trying to escape police which is also wrong. If he's trying to escape then he cannot have the right to self-defence, which is against the right to life of a person even though he is a criminal. Third option is Samba could have shot Vijay elsewhere hence he is guilty. Whenever the use of the term ‘could’ and ‘should’ have appear, it's clear that something has happened and now we cannot pass judgment on the basis of what ‘could’ have been done, so that, that answer actually strikes out on its own. ‘Could’ have an option is not there because it has already died now. We have to decide whether he will be given the defence of self-defence or not it's yes or not. We cannot pass judgment on could have or should have. In this case, Samba’s life was in danger so while saving his life and having the right of self-defence he killed Vijay. So, he will be given the right of self-defence. Read the principle very carefully: every word has its own relevance in law. All conditions in the legal principle must be proved to establish the crime or offense. Keep your scope of understanding an application of law limited to the principle so provided: applying moral principles or any other law may result in the wrong answer. Keep your emotions aside while solving the legal section on the paper. Look out for the best suitable answer, not the ideal one. Do not assume or extend facts on your own: this is not a principle but you must keep this in your mind that you must not assume or extend the facts of the case on your own, you cannot imagine any facts beyond the facts given to solve the question. I hope this article will help you to solve most of the questions and these are the basic principles. We hope this Legal Reasoning or Legal Aptitude information and the basic principles will help you to solve most of the question in your CLAT (Common Law Aptitude Test). Here are the some important links regarding your preparation. Two Free Tests of CLAT Click Here..